I am a very ambitious and creative minded individual who likes working as a team or own my own initiative. I am constantly making sure we are in line with what's out there in the hair and beauty industry by going on all the latest courses, constantly bettering our skills and knowledge. At Salon Rouge we work very closely together as a team making sure all our customers are valued on each and every visit to ensure they are relaxed,comfortable and, most of all, enjoy the Salon Rouge experience. Education: Hairdresser NVQ Levels 1, 2 & 3. 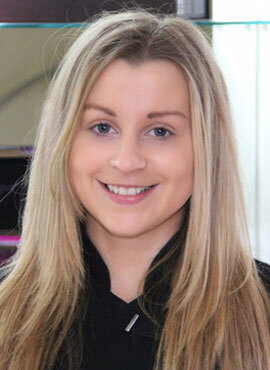 Beauty Therapist NVQ Levels 1, 2 & 3. Training: Numerous courses as well as training within an academy for all aspects of hair and beauty. I have been doing hairdressing for 16 years. I am very passionate about my job and I like to make my clients to feel comfortable and relaxed and enjoy their experience at Salon Rouge. I love doing Brazilian keratin blow dry’s. 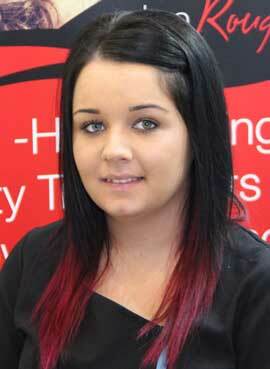 I like working as part of the team and enjoy every aspect of hairdressing. Training: Numerous courses with colour, cutting and all aspects of hairdressing. I have been doing hairdressing for 17 years. I am a very creative hairdresser who likes working with different clientele. 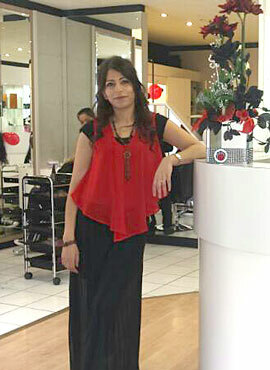 I love working at Salon Rouge as we are a good team and our clients are lovely. I enjoy teaching our juniors on a professional level, it was how I was trained at Worthing Hair (now Salon Rouge) 17 years ago. I always keep up with the latest looks and colours. I love attending new and up to date courses because I love my hairdressing and it's a big passion in my life. Training: Training and Assessors Awards D32 and D33. Having direct communication with customers right from their entry to the clinic right the way through their personal care and treatment plans. Helping clients to make decisions about their appearance. 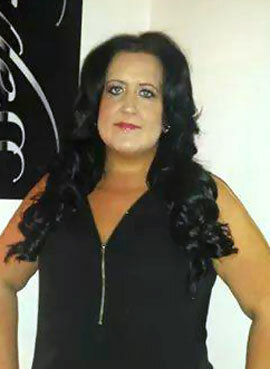 Providing a consultation service, educating them on options for their hair, skin and nail care and also assisting them on any other problems or issues they have. I love doing all kinds ofdifferent work related to the beauty industry. most of all I like doing acrylic or gel nails as there is a big demand for nails. I like doing semi-permanent eyelashes and spray tanning. I am 100% commited to my work and take every pride in making sure all my clients are happy with the treatment and service we offer here at Salon Rouge. I enjoy working for salon rouge because of the opportunities available. I have seen myself progress with Salon Rouge because they costantly challenging your work to make sure the right product knowledge and services are offered to the clients on a daily basis. 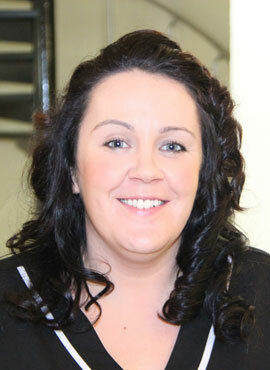 All our staff and clients are very friendly and we work very well together as a team. I love doing curly blow-dry's and hair-up's for special occasion such as weddings, party's and proms etc. I am currently working along side the senior stylists at Salon Rouge and enhancing my knowledge with the other stylist. 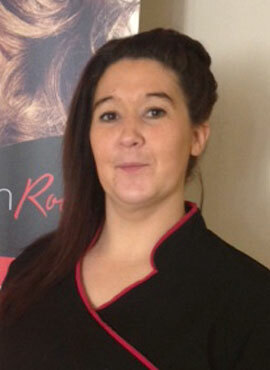 Salon Rouge has joined forces with the Wella training studios in Manchester. My passion is to make clients feel welcome, comfortable and relaxed at all times. Also, I am 100% commited to my work making sure clients receive top quality service throughout their treatment and experience with us. 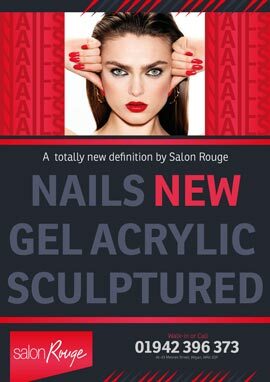 Our focus is on providing a unique and quality experience with us here at Salon Rouge. Training: Training with Salon Rouge. Take a look at our other pages.